League President Jake Dugger welcomes the opening-day crowd. La Verne Girls Softball Association Is Ready to Play Ball! 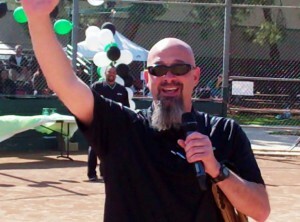 La Verne Girls Softball Assn (LVGSA) Registration Now Underway! Three standout teams from the La Verne Girls Softball Association were honored Monday night at La Verne City Hall.